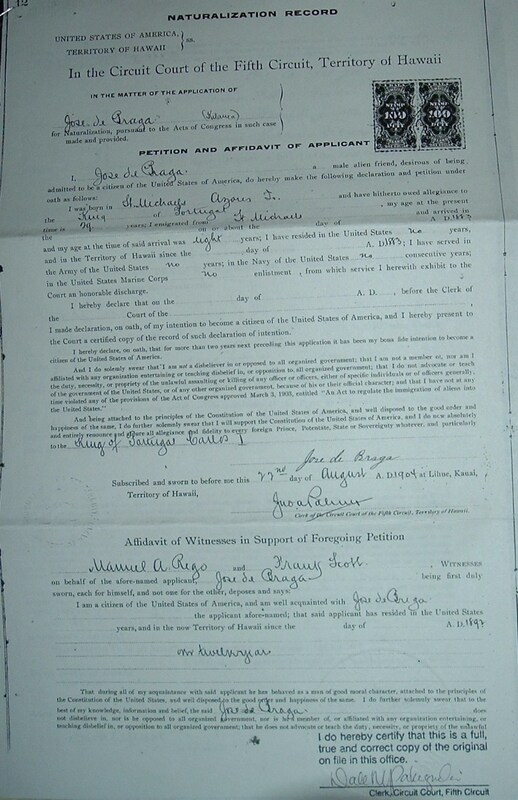 I thought I’d post an example of a Hawaiian Naturalization record. 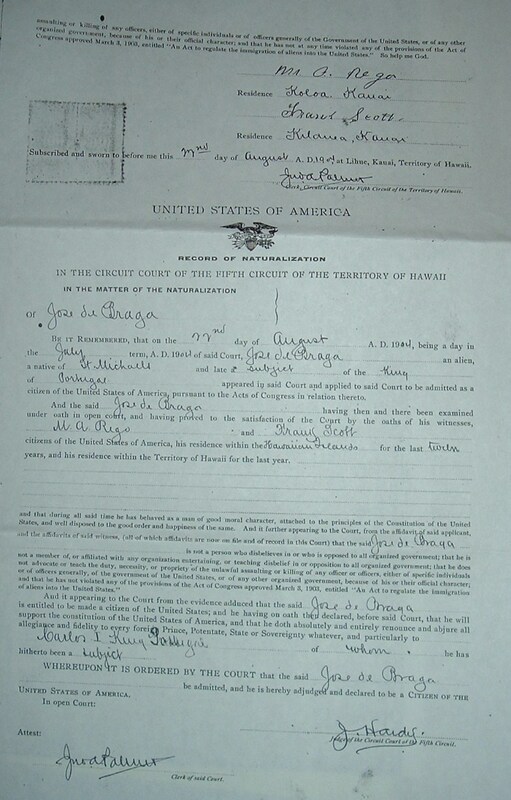 This is the naturalization record for my Great Great Uncle Jose de Braga (aka Joe DeBraga). His file included two sheets. 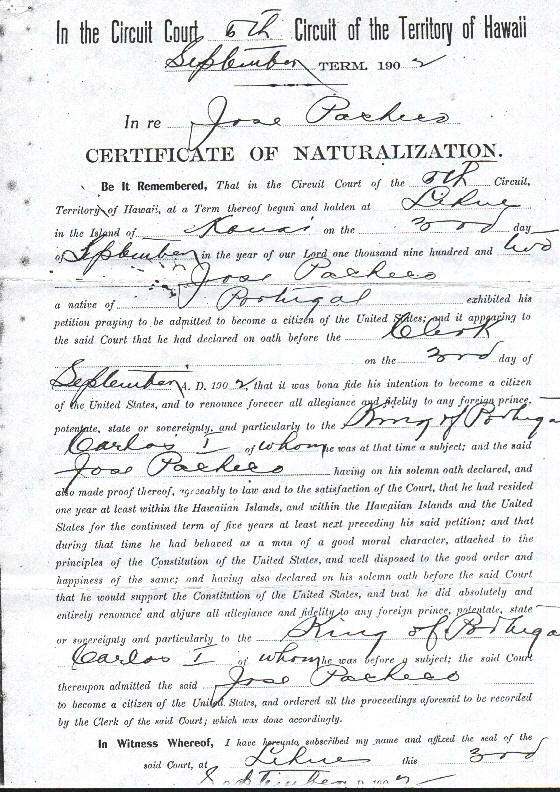 Naturalization was granted 22 July 1904. This was the file for my Great Great Uncle, Jose Pacheco. He was naturalized 3 Sep 1902. You can see that there isn’t a whole lot of information to be had in this document. There wasn’t anything else on file at the Circuit Court on Kauai. Perhaps in later records the necessary information needed was more detailed. I have a feeling that the reason these records are so scanty is because the applicants didn’t really have any paperwork to prove who they were and where they came from. It was definitely a different era!